Understand the basics, lead nurturing is to foster leads that have not yet converted into a buyer. To practice lead nurturing, you need to understand the buyer along with their profession, role, title, etc. You should also understand the stage at which your leads are present. Nurturing is a vital step as it is responsible for keeping the leads engaged throughout their journey. You can engage your leads with content in the form of eBooks, webinars, and white papers. When done correctly, it can help in building strong relationships and loyalty with the brand even before a prospect buys your product/service. By aiming at the cultivation of hidden demands, there are more chances for your company to increase the conversion of leads and prospective opportunities to drive more revenue. Nurturing is a great way to develop your existing opportunities. All you need to do is to educate your potential buyers and equip them with relevant information to provide an educational experience for your buyers. Lead management can be used in the automation of real-time marketing. Such software helps in tracking and automating the delivery of the content. It collects the behavioral data in addition to triggering actions. It is not necessary that your prospects would buy your products/services immediately. In the same vein, credible sources like SiriusDecisions has shown through research that almost 70 percent of the 20 percent leads followed by sales representatives are not even qualified. However, according to the marketing gurus, you must not ignore even a single lead. As much as 80 percent of the prospective buyers will definitely buy products and services from someone in the next two years. So even if you are on their shortlist, it is an achievement. Your job does not end after getting a lead. You need to nurture them properly with the help of content that they find relevant. Something that pushes them towards the products and services you are offering. This prepares them for the next stage where the sales team can contact them. Nurturing your leads can provide you with a safety net. It takes your leads through buying cycle. Thus ensuring that you do not miss out on any opportunities to generate revenue. An Ascend2 study from December 2015 reveals that lead nurturing strategies immensely help in increasing not only the conversion rates but also sales opportunities. The main focus of lead nurturing is to convert already existing contacts in your database into buyers. A report by Demand Gen says that the nurtured leads produce a massive 20 percent more sales opportunities as compared to the non-nurtured leads. The inquiries that are in your system would merely be hand-raisers if not for lead nurturing. It only means that you have a potential buyer. But they cannot be converted without carrying out proper profiling and cultivation.This is the only plausible way to learn lead nurturing. Marketers often confuse lead nurturing to be an equivalent of email communications. Nevertheless, that is not the case at all. On the contrary, you need to understand that lead nurturing is a process that needs follow up through a series of various correspondences. It must be done clearly, meticulously and concisely. The effective way of lead nurturing involves questions that can assist you in collecting information and details that are integral to refining your communication. It is also crucial in pushing the prospective buyers to the next stage of the buying cycle. It involves building long-lasting impacts and relationships that are solely established on trust and loyalty. In addition to that, it consists of having extensive knowledge and deep insights into your prospective leads. Only when you get all these details can you provide them relevant assets, content and messaging. Unique and individual customer profiles must always trigger nurturing paths. The role of segmenting is huge. It enables you to use sales stage, title, industry or role to account for all the minute nuances in messaging. With this, it becomes easy for you to ensure the authenticity and relevance of your content. It also resonates with the prospective buyers in addition to reducing the number of unsubscribes significantly. You should first segment your leads according to the role of the user. For instance, form a different segment for an executive sponsor or a power user or a champion. When you are aware of this, you can bring prospective leads through programs that are specifically tailored to their roles. This also makes the entire transition process seamless, smooth and streamlined. When a person actually falls for your pitch and decides to become one of your customers. In both these cases, you can effortlessly enhance the number of touches and frequency. Nurturing is not meant only for your prospects. You should try to cultivate relationships even when all you are doing is bringing a new customer onboard. Embrace personalization whenever possible to make the users believe in the authenticity of your company. Call the customers by their names and always strive to mention the name of the company to give it a personalized touch. In the same manner, all your communication must be about the needs of the buyers. You have to provide all the relevant assets to the customer. Every conversation on your part must address a particular question. It is important to consider what the buyer will be gaining from it to ensure your nurturing program is appropriate, relevant and valuable. Progressive profiling is an ingenious way to request additional information from the contacts that exist in your database. This is essential as it builds actionable and rich data for each prospect. Progressive profiling assists you in giving the prospective buyers one information at a time. After that, you should provide information in exchange for a case study. In the end, the prospects can be shown a demo which again, does not require them to register beforehand. Laying a groundwork is essential before defining a lead nurturing program. This is because it will help you achieve valuable insights into your prospects and improve revenue. This is definitely an essential step towards a successful lead nurturing program. It is imperative to understand the stages that your prospects go through. This helps you to know how to approach them with your best content assets. You must interview not just your customers but also those who didn’t avail your products/services. This will help you in defining your perfect customer profile in addition to assisting you in developing buyer personas. You should address several questions like why should the buyers buy your products/services and what is the best way to buy your products/services. Moreover, it is important to answer why should your prospective buyers find your products interesting! Apart from that design the emails that you should send to the potential buyers at various stages of a buying cycle. Overall, there has to be a right blend of sales and marketing to ensure consistency in your messaging, voice, branding and experience. 2. Keep track of your Buyers’ Motivations. An excellent way to understand your buyers’ motivations is by analyzing your work in marketing campaigns. Consider how they contributed to increase revenue for your brand. 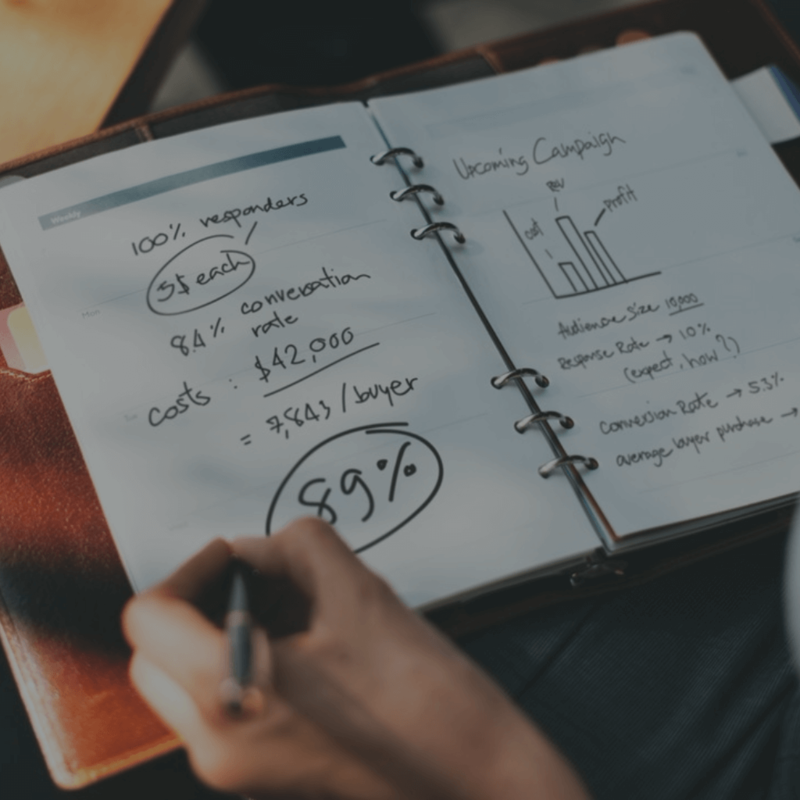 You also need to focus on the percentage of people who responded to your campaigns to determine the number of leads that went through the various stages of the buying cycle. You must also look at the content and messages that are planned to be sent at every stage. According to Ascend2, 59 percent of B2B companies confessed that the most challenging task in the lead nurturing was to create relevant and exciting content. 3. Whiteboard can be a perfect experience for users. Your lead nurturing campaign should reflect the process of buying adequately. Furthermore, you need to fine-tune the process to ascertain the possible challenges that might come up while practicing it. Try to personalize the entire experience for your prospective buyers based on the information you already have. Next comes modifying the communication flow according to how well your content connects and influences your buyer’s engagement. Develop a coherent structure according to your business needs. Consider some of the problems that might arrive in the process while implementing it. You can make the revisions later. Once you are clear about the final plan, you must document every step so as not to forget it. Share it widely across the organization. It will also ensure that you have a justification for every decision that you take. 4. Strategize and design the process of Lead Nurturing. To strategize and design your lead nurturing process, you need to understand the goals of your campaign, the flow of messages, offers of content, channels of communication and the entire cadence according to the past interactions with prospective buyers. In the end, planning helps in deciding the flow and timing of your automated messages and programs. However, you must be careful and consider all the possible scenarios. For example, if you plan on eight emails and four phone calls over a period of three months, you must find your course of action in case of negative or no response. Another vital point to acknowledge is how to keep your prospective buyers engaged. A perfect way to start your campaign is through an automated welcome message. Set up automatic communication messages to welcome all those prospects who register on your platform. Offer them educational information and other background details. You need to choose the first three crucial things that they need to know. Later focus on getting the information that you require from their end. Once you are ready to join the already existing leaders of the industry and begin the lead nurturing process, you can increase your chances to succeed by following some best practices. You need to concentrate on a particular part of your database. This can be done with a straightforward call to action. Assess the performance as per your goals and then make modifications accordingly. After this, you can go ahead and classify your buyers based on their personality and their buying stage. This further helps you to send customized content. The most important thing is to concentrate on the step by step process. For example, the process must start with a welcome message to your new leads. This must contain all the helpful information for your leads. Include your products as well as services, your partners and a reference to find extra details and information. This information can consist of generic information that could cater to mass audiences because at this stage you do not know much about your prospective buyers. You must look for buyer behavior and understand the things that trigger them to buy your product. Make your prospective buyers enter into a sequence that is automated and triggered with specific actions. You can also choose to trigger it with the help of date stamps. 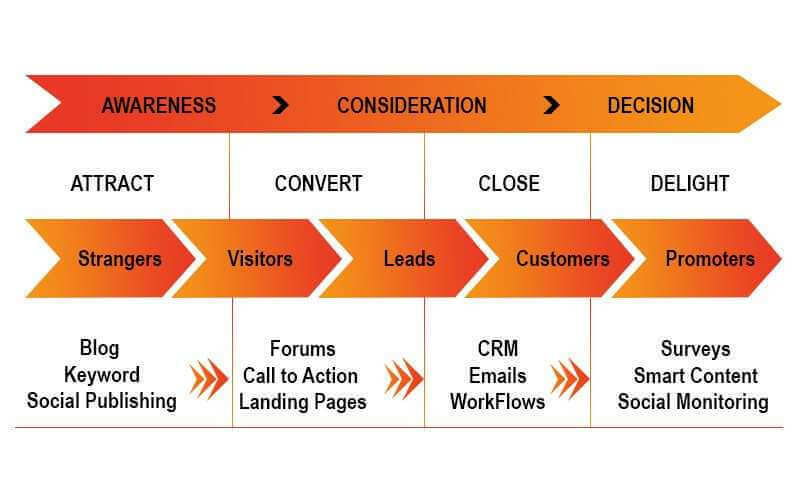 With Marketing Automation you can change the nurturing path when the stage of your lead changes. You can also integrate a CRM, that helps the sales representatives to track the nurturing path of your prospects. It helps you to build a series of messages for your prospects, organizes them in a progression starting from awareness of your product and services to education and finally a validation. Ensure that you collect some information from all the leads at every step of communication. This ensures that the future communication is customized accordingly. The next stage includes your prospective buyers starting to evaluate their options. In this stage, they must be sent to a nurturing that entirely focuses on educating them. At this point, they would spend maximum time on your website. They will try to consume all the information while going through the content. Therefore, they must become a part of the “accelerator program.” It is specially tailored to push them to the next level in the cycle of buying. However, if some of your prospects have not been in touch with your company, you must start a re-engagement campaign. It helps you to understand if it is worth having them in your database. It is important to note the situations that compel your leads to become a part of the program and also the circumstances they would want to leave. You need to build a strategy to exclude them from nurturing cycle when you are sure that they are about to make a final decision. If your lead is not convinced to buy, you can reintroduce the entire nurturing program for them. In the end, when the prospects are entirely out, you must manage the exclusions carefully. Once your nurturing program is finalized, you should monitor and compare it to the goals that were set initially. You need to define the goals of your program. Hence you will be able to easily assess the Key Performance Indicators (KPIs) that should be tracked throughout the process. To begin, you can determine your engagement with the help of click-through rates and email opens. If you find low numbers here, you must make slight changes in your messages, the frequency of the emails as well as the timing. If your goal is to help your leads move up the ladder, you need to assess how many of them are taking that leap. Also, try to determine the average time for the process. In short, you need to be consistent in analyzing your nurturing program. Further, also make immediate modifications as per the changes in the behavior of your consumer, market or your organization. This guide aims to help you with the related concepts, tools, and best practices. I hope you can improve your lead nurturing in the best possible way. You must have a clear idea of your consumers’ preferences, and deliver them the content on their preferred channels. It can range from social media to automated emails or any others. It can also be your company’s website. However, it has to be customized according to your buyers’ preferences. It is easier to predict if you can comprehend the information available about the behavior of your buyers. I am talking about the prediction about how communications strategies influence their buying behavior. Information is critical, and therefore, if you know more, you are likely to get more relevant conversions. It will also give you more options to push your prospective buyer to the buying cycle. Moving ahead from this, marketers can start the process of collecting the data and insights from various available sources like LinkedIn, CRM and other marketing automation that helps in elevating the conversion level. Once the marketers adopt the marketing automation tool, CRM, and other measurements, they will understand the buyers better and will send across the right message at the right time and to the right person at all the levels of the buying cycle. Rewarding people for social media engagements can be a great way to involve more people. For example, you can award a B2B marketer with a VIP program after attaining a certain level of engagement. With the help of a formal strategy of nurturing and following all the best practices that are highlighted here, you can get high returns in a short span. Ankit! You’ve written a great article. It offers deep insights for lead nurturing. 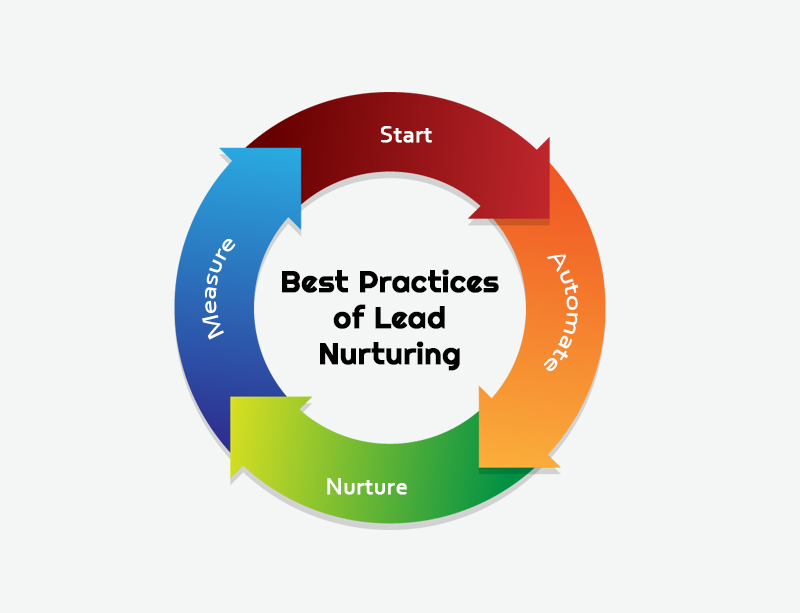 Insightful article and it satisfied my hunger for learning about lead nurturing for today. Tomorrow, I will be looking for more profound insights. Lead nurturing is that effective method which can utilize it to convert the even-first contacts into buyers. 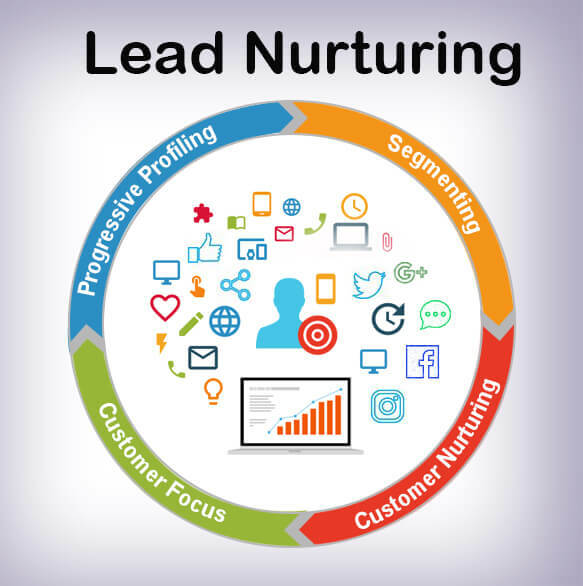 Lead Nurturing is one of the best ways to convert a customer into a lead. Thanks a lot for sharing the detailed information. You’ve written a very nice article here. Your article will surely help marketers to understand lead nurturing. Thanks for sharing this. A wonderful article! Thanks for sharing the detailed information about the lead nurturing steps for converting a customer into a point. If you want to increase returns, then lead nurturing is the best possible way as it converts the already existing contacts in the database into buyers. I comply with you Prem, very comprehensively described. Clearly, lead nurturing could be your most important marketing strategy in 2017 because it helps you to convert your inbound traffic into real sales. Basically, lead nurturing is supposed to guide potential customers through the sales process while developing strong relationships at the same time.